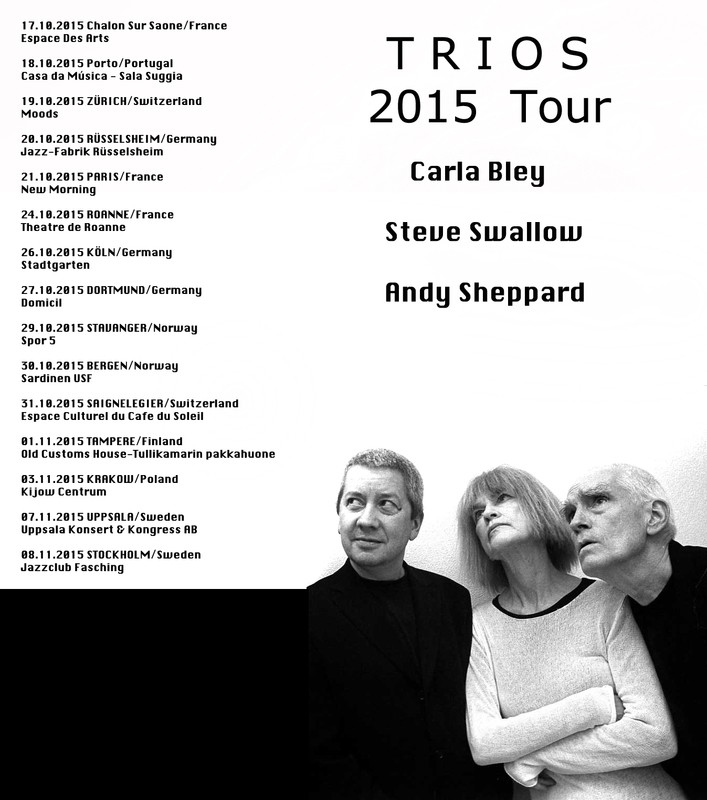 Trios is the first of Carla Bley’s albums to be recorded directly for ECM. Although she has been part of the larger ECM story for forty years, and although much of her life’s work – documented on JCOA and WATT – has been distributed through ECM channels, Trios marks only the second time that Carla Bley and producer Manfred Eicher have been in the studio together (the first occasion being the 1982 recording of Charlie Haden’s The Ballad of the Fallen, for which Carla played piano and wrote arrangements). 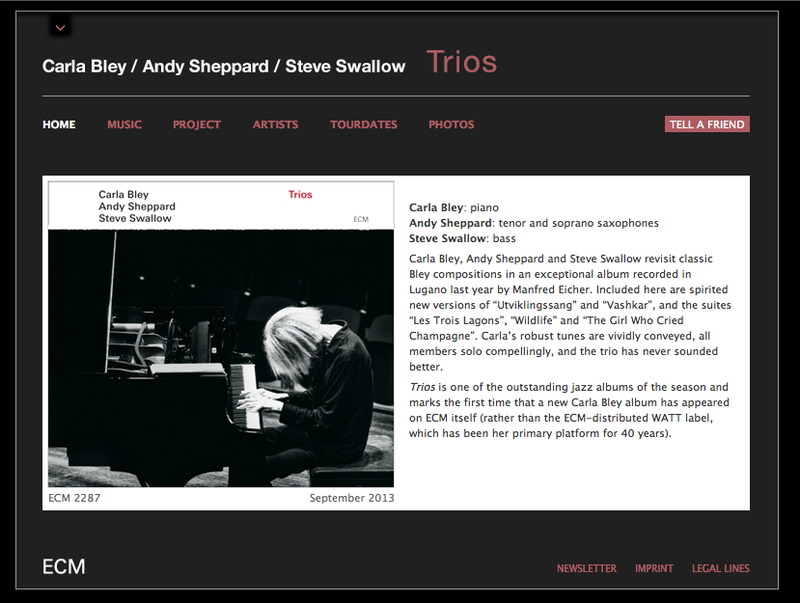 On Trios Carla Bley – together with Steve Swallow and Andy Sheppard – revisits some favourite pieces in an album that pays particular attention to her qualities as jazz composer and highly individual pianist and emphasises the strengths of the trio. There is an elegance to the group sound, rooted in long years of reckoning with the material. Bassist Steve Swallow has been playing Carla Bley’s tunes since the early 1960s, and has been a member of all Bley’s touring bands since 1978. 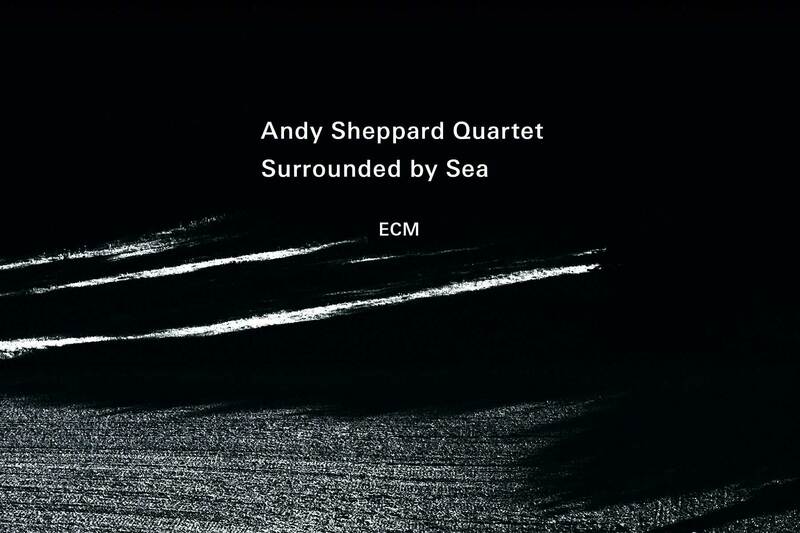 Andy Sheppard has been a regular Bley associate since 1987, appearing on a dozen albums since 1987’s Fleur Carnivore.